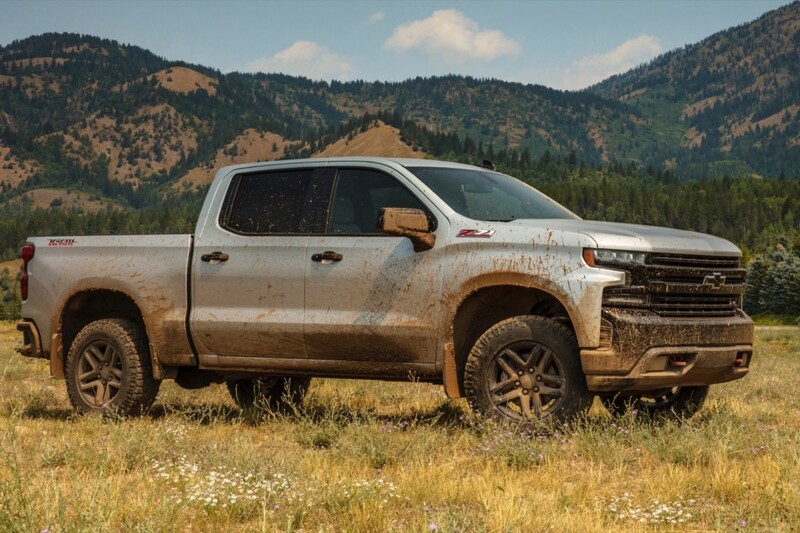 As it stands, the 2019 Ram 1500 V6 eTorque is a more fuel-efficient pickup than the 2019 Silverado. Official EPA estimates for Ram’s full-size pickup show the 1500 V6 eTorque model will return up to 25 mpg on the highway, Fiat-Chrysler Authority reported Wednesday. 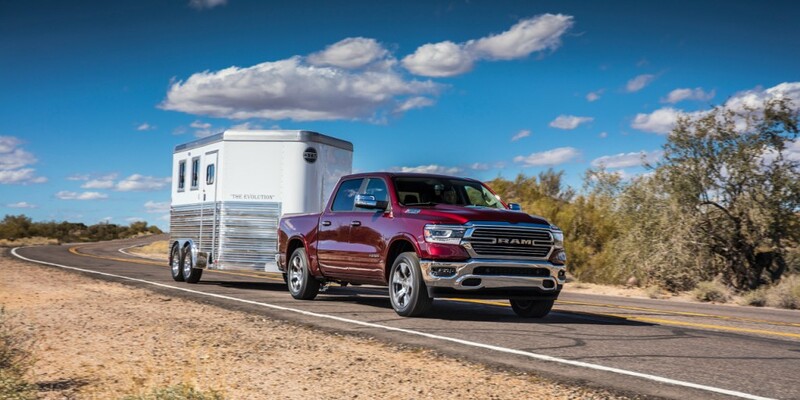 The eTorque system comes standard with the Ram’s Pentastar V6 engine and supplies up to 90 pound-feet of torque to boost fuel economy and contributes to a higher towing rating. In ideal conditions, the eTorque system will return 20 mpg city, 25 mpg highway and a combined rating of 20 mpg for 4×2 models. Buyers who select 4×4 models will see fuel economy drop by 1 mpg across the board to 19/24/21, per the EPA’s test cycle. And of note, the fuel economy ratings match the Ford F-150 4×2 with the 2.7-liter EcoBoost V6 or 3.3-liter non-turbo without turbochargers or aluminum body panels. The story isn’t over, however. The EPA has yet to deliver fuel economy ratings for the 2019 Silverado and its new 2.7-liter turbocharged L3B four-cylinder engine. The engine will become the 2019 Silverado 1500’s new volume engine to replace the 4.3-liter LV3 V6 engine. The smaller-displacement inline-four will make 310 horsepower and 348 pound-feet of torque, which outdoes the 4.3-liter V6’s 285 hp and 305 lb-ft. Tow ratings and payload ratings suffer slightly with the four-banger, however; the L3B’s max tow and payload ratings sit at 7,200 and 2,280 pounds while the LV3 will handle up to 8,000 and 2,500 pounds. Competition between the Ram 1500 and Silverado 1500 is expected to heat up. Ram launched its full-size pickup earlier this year, though the rollout has been rather slow. 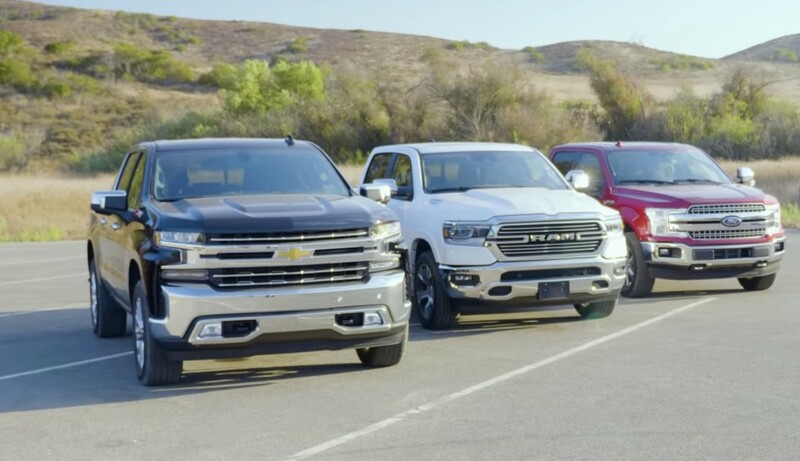 The first 2019 Chevrolet Silverado 1500 models are just not trickling into dealerships. And a hot-button issue for many has been the lack of an updated interior in the Silverado versus the Ram’s more luxurious cockpit and added amenities. Production of V8-powered Silverados is underway. The fourth quarter of 2018 will see the 2.7-liter engine enter production. How much does the Hybrid system add to the price over a standard V6? How much are the added service parts? The added MPG is all great but if it adds much cost to purchase and ownership then it is not as attractive. Numbers would help make this picture clearer. The hybrid is standard on the V6 and a $1500 option on the Hemi. Now what is the price of the V6 to the V8 non Hybrid. We also need to see the price compared to the Turbo 2.7. Just putting it into perspective with the various options out there. Even if the hybrid system adds purchase cost, the total cost of ownership will drop thousands of dollars a year, and the return on the purchase increase will be covered in two or three years. I have driven domestic hybrids (Ford) and the vehicle responds better than a normally gas engine model, due to many benefits (increased low speed torque – added motor, lower maintenance – less gas engine use, regenerative braking – less pad wear, low or no gas consumption at low speeds – added motor, etc) which cover that price increase. So a hybrid is a true winning situation on any truck! Not if the savings are only 1mpg, you would be better off reinvesting the 1000$ cause the interest would acululate before the 150$ a year fuel savings would pay it off. The ram non etorque used to make 25mpg as well and most truck buyers are country and suburbianites who don’t regularly drive downtown anyways. We look for highway mpg and regenerative braking only helps in situations where you stop. I’m looking for a high compression engine with better efficiencies before ever buying a hybrid. Dissapointed in no hemi update. They could have at least tightened compression ratios. A Full hybrid will come, Trucks/SUVS. Wasn’t the 2017 and 2018 3.6 equipped 4X2 Rams rated for 25 highway already?